How is Brainwave Biofeedback Used to Treat Addiction? What if you could control cravings and the other unpleasant aspects of withdrawal using just your mind? Almost everyone in today’s society has heard the phrase “mind over matter.” People use this phrase to indicate the mental overcoming the physical. In the case of biofeedback, it is using awareness and the mind to control the body. Instead of the mind having control over something outside like a spoon or a plate, in biofeedback, the mind controls the body. It does not mean just hand movements or twitching the leg, it means taking control of involuntary actions such as heart rate, blood pressure, and breathing. Biofeedback is probably one of the oldest forms of behavioral therapy. It started in the 40s as research into how involuntary systems are controlled by the brain. At the time, doctors used primitive methods of operant conditioning and electrodes. Although these days’ doctors use more scientific methods and modern computer equipment, the science behind it has not changed much. The model of stimulus and response are still in effect. The biofeedback of today is helpful in many different addiction therapies. In order to understand the way biofeedback works there are several things that you should know about its process and what it is used for. 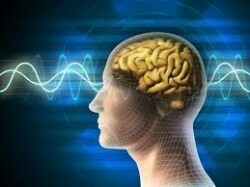 Brainwave biofeedback therapy helps people control their body and mind through complex scientific processes. According to the Mayo Clinic, biofeedback is a way to learn to control your body, including emotions, muscles, pain, and other ailments. It involves using computers to sense subtle changes in each system measured. It has a wide range of diagnostic and practical applications in the world of rehabilitative medicine and psychology. The feedback sensors give you the ability to sense changes in your body so you can duplicate these changes later on, for the same effect. There are many actions and reactions that the sensors can monitor such as heart rate, muscle movement, and breathing. These subtle changes like tensing or relaxing muscle groups help you to study how your body reacts to specific stimuli such as anxiety or stress. One of the reasons people use biofeedback is to make involuntary reactions, voluntary. Others use biofeedback to obtain better control of their reactions and emotions. A person is craving a particular drug. The therapist hooks them to a biofeedback machine and measures some of the body’s systems. The therapist then shows them what the craving looks like as biofeedback. The therapist then teaches a variety of relaxation techniques to calm the body and ease the craving. Then he or she takes another reading. This shows the person how their body responds to cravings and what it feels like to back those cravings down to a more comfortable level. After doing this several times over several days the patient slowly learns how to control their involuntary response to the craving. Once they learn that control, they can duplicate it on their own. temperature at various points on the body. The information recorded depends on the equipment used. According to the National Library of Medicine’s Medline Service, most biofeedback is intended to change behaviors and strengthen the minds control over the body. By recording all of these responses, you can view the baseline results and then physically see what the relaxation or deep breathing techniques do for you. It gives recovering addicts a clear picture of the changes going on while they are working on backing down their anxiety or cravings. may help you control the amount of pain you are in. These benefits combine to help you realize that your life is under your control. Many addicts feel a feeling of helplessness when they are in recovery. Biofeedback helps to reduce that feeling of helplessness. Biofeedback teaches you and your brain to remain calm in high stress situations. It has been said to improve the rate of recovery in addicts who are serious about treatment. It can improve your ability to focus, reduce impulsive behavior, and regulate stress levels. When the mind is more focused, it improves mood, sleep, and control over a variety of situations. All of these therapies offer recovering addicts tools relax when they are craving their drug of choice. Many addicts turn to drugs in times of stress. The most dangerous time for an addict is confronting the situations that they normally would use their drug of choice. When they normally would be under stress and anxious, the relaxation techniques are employed as a way to prevent drug relapse and calm them in a positive way. teaching you to deal with some conditions in a natural way. Each of these benefits helps you to recover in a positive way. After an addiction, a doctor might recommend you stay away from prescription medications and learn more natural ways of controlling stress, pain, or anxiety. Biofeedback is an excellent tool for this. The drawbacks to biofeedback are minimal. There are no known side effects to the actual process. One of the main drawbacks that patients list is that biofeedback is a lot of work. It requires introspection, learning, and concentration for it to work with the different types of therapy. It is an active treatment that requires the participation and concentration of the recovering addict. Some addicts have a difficult time facing the reality of their addiction so quieting techniques are particularly hard. When faced with positive evidence of biological changes, some addicts feel threatened and defensive. Biofeedback sometimes produces the same anxious reaction that behavioral modification has in some patients. Both treatment techniques are difficult when the recovering addict starts to delve into the true issues behind their addiction. Another common complaint about biofeedback is that it is almost always combined with other therapies. Both biofeedback and the accompanying therapy have to work together. Biofeedback might not produce positive results on its own. There is traditional biofeedback and then there is a treatment called neurofeedback, which is based on biofeedback. Neurofeedback uses an Electroencephalograph machine that monitors brain activity during certain situations. This creates a brain map. Therapists use this physical map to target areas of negative thinking and negative coping strategies. Then they retrain the person to a more positive thought pattern. Neurofeedback uses some of the same techniques and behavior modification as biofeedback just with more of a concentration on the brain instead of the whole body. Benzodiazepine addicts – the anxiety associated with withdrawal from benzodiazepines is often calmed by biofeedback and relaxation techniques. Biofeedback shows benzodiazepine addicts how to control the anxiety instead of taking medication for it. Opiate addicts – opiate addiction often begins because of chronic pain. Therapists can use biofeedback to help them reduce the ambient pain they feel all of the time. This reduces their dependence on opiates and the anxiety associated with not having them. Methamphetamine addicts – prolonged use of meth amphetamine or crystal meth produces involuntary muscle contractions. In recovery, these muscle contractions turn into a form of twitch. Biofeedback teaches recovering addicts how to control these involuntary movements and reduces the embarrassment they cause. Cocaine addicts – cocaine addicts often have issues with invasive habits and lack of sleep. The invasive habits can be identified using biofeedback. Once they are identified, a therapist can help the recovering addict retrain these habits before they become more of an issue. It can also help with insomnia and hyposomnia by teaching the recovering addict how to establish normal sleep patterns and rhythms. Stimulant addicts – most addictions to stimulants start with the need to be awake after receiving too little sleep. Biofeedback helps to establish a good sleep wake cycle. When the recovering addict is getting enough sleep, they usually do not relapse back to stimulants. Biofeedback helps to address some of the issues that started the addiction in the first place. With these behaviors gone, the addict loses their need for the drug. After this is accomplished, there is usually only the physical withdrawal to contend with. Although biofeedback is a controversial treatment, it is definitely worth trying if other therapies alone do not work. It tells therapists about the physical side of what you are feeling, then they can design a treatment plan or program to help you deal with your emotions, pain, or other withdrawal symptoms.. It also helps you take control of your thoughts, your actions, and your life. It is one more tool that therapists use to help you beat your addiction.